Does anybody have any experience with the new High Standards from Texas? Those that have been made in the last 5 years or so? I really like the feel of a High Standard but don't want to buy one that is 30 or 40 years old and had the crap shot out of it. Allen Barnett wrote: Does anybody have any experience with the new High Standards from Texas? Those that have been made in the last 5 years or so? I really like the feel of a High Standard but don't want to buy one that is 30 or 40 years old and had the crap shot out of it. 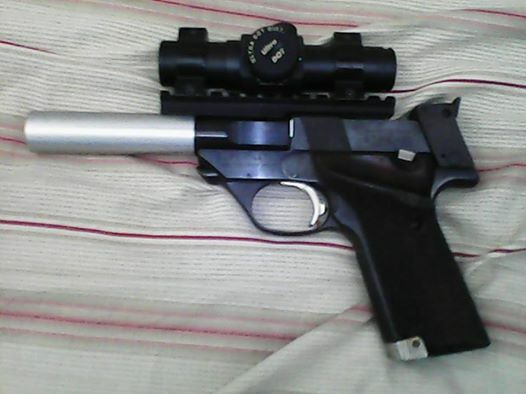 My high standard is a vintage 43 years hamden made,excellent pistol with lsp aluma barrel and ultradot 1". I like vintage Pistol,pre 1980's. If you found one,buy with confidence. If an old one had an issue it will be cracks around the upper magazine area. I sent my 1976 vintage Victor to them back in 2003 to have all the springs replaced. They found that the frame had cracked. They replaced the frame with a new production and sent it back to me. Still shoots as good as it did before. The only thing I found is that the tolerances are a little different and some of my older magazines are a tight fit so I have to pick and choose which ones I use with it. There are a few intriguing threads re: this on RFC. Some say that High Standard Texas is going out of the 22 target business (focusing on ARs), others deny this? I called a few weeks ago re: their High Std they listed on their web site as "in stock". I was told this meant the parts were in stock, and if I purchased one it would take 8-12 weeks to assemble it. This sounded sketchy to me, i.e. if they are really in the market long term, and have the parts, why not assemble one before an order? Also, Alan Aronstein (apparently past president of HS) has formed a new venture, Interarms TX, and is in process of testing a HS "clone (my words) called the X-series. Looks interesting. The only thing on a High Standard that wears out is the frame. As pointed out previously it develops cracks because of the slide peening the barrel. I doubt the barrels wear out on 22's. Anyway that can be replaced. I know of someone who has one with a cracked frame and still shoots it. He says it doesn't effect the accuracy. I imagine at some point the frame will eventually fail completely. I inquired about a new High Standard Victor about 8-10 months ago. I tried calling the number listed on their web site and left a voice mail to return my call. I did this every day for three consecutive days, they did not return my call. So I emailed them. Waited a week, emailed again. I got a reply the next day telling me that while the web site says "in stock" it still takes them 8 to 12 weeks to ship, after they received funds. Red flags went up. Something in my head told me that knowing my luck, they would wait until week 11, then slap something together quick just to get it out the door before the deadline. Then again, perfection is worth the wait. I chose to not purchase a new High Standard at that time. This was when the list price was $999. About a month later, I happened across their web site again and the listed price was $799. I quick emailed them for verification of the price. The next morning they confirmed that price. So that night when I got home from work, I went to order one. Price jumped to $899 over the 5 or 6 hour time span. I bought a Benelli. I paid $600. well worth it. Mike38 wrote: I inquired about a new High Standard Victor about 8-10 months ago. I tried calling the number listed on their web site and left a voice mail to return my call. I did this every day for three consecutive days, they did not return my call. So I emailed them. Waited a week, emailed again. I got a reply the next day telling me that while the web site says "in stock" it still takes them 8 to 12 weeks to ship, after they received funds. Red flags went up. Something in my head told me that knowing my luck, they would wait until week 11, then slap something together quick just to get it out the door before the deadline. Then again, perfection is worth the wait. I chose to not purchase a new High Standard at that time. This was when the list price was $999. About a month later, I happened across their web site again and the listed price was $799. I quick emailed them for verification of the price. The next morning they confirmed that price. So that night when I got home from work, I went to order one. Price jumped to $899 over the 5 or 6 hour time span. I bought a Benelli. i called recently... was told they are made to order. Your experiences sound a lot like those of when the "new" High Standard company first got into (I use the term loosely) business. Way back then I was in the market for a new .22 pistol. I was considering the High Standard 10X. Through the old Bullseye-L e-mail list, I started hearing a lot of problems from people who had ordered one, but had not received it, even after a long wait. IIRC, some folks had paid for their pistols and had been waiting over a year. The folks running the Houston High Standard company were reported to be dismissive and rude, while holding customers' money. I ended up saving more dough and bought a Hammerli 208s instead. It arrived at my dealer soon after I ordered it. I have been totally satisfied with my 208s, as far as, accuracy and reliability. I had owned 2 older High Standard pistols, but I feel like I dodged the bullet by not biting on a Houston made pistol. 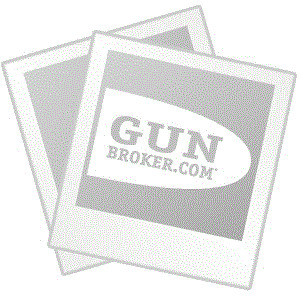 I just looked on Gunbroker and found a Texas made High Standard. Scary thing is that I found two and they were the same pistol. 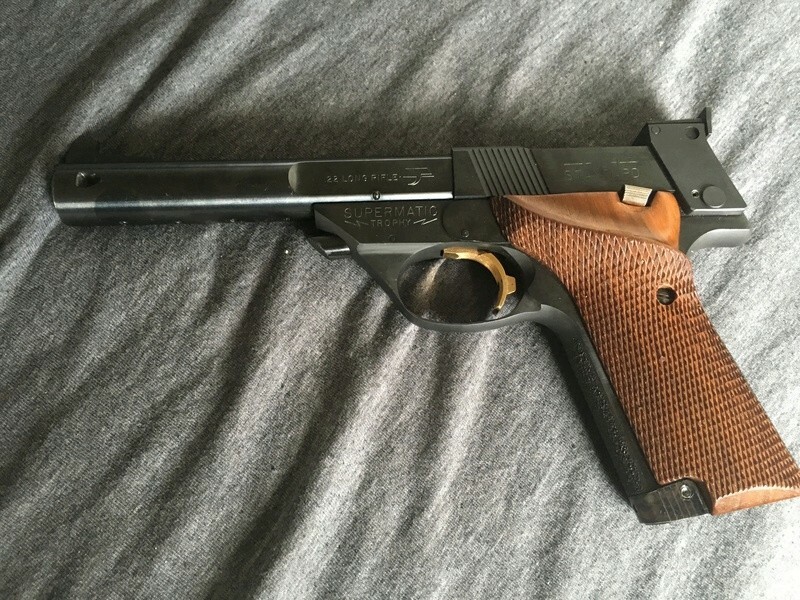 I did find a Hamden made pistol that I would buy in heartbeat. I like the looks of this pistol. Quite a while ago I talked to one of my fellow shooters who is an engineer and builds his own guns. I might add He's a high master. He told me that the there was some problem with the ejector. It was so long ago that I'm not sure but I think it was something about the ejector not being long enough. I own a Hamden made Citation, E Hartford made Victor and a S & W Model 41. All are great guns. The High Standards have a more solid feel, weigh more and better trigger. Hamden made High Standards are pretty much . . . the gold standard in quality. The High Standards are fussier with ammo (I've used CCI Standard Velocity for years) and must have good magazines that are properly adjusted. Magazines are the bug a boo for High Standards. Used original's are running around $100 each on eBay. You can buy new Triple K's at half the price but they're not to the quality & reliability of the originals. If forced to use only one of the above pistols the rest of my life . . . I'd take the High Standard Hamden made Citation. You hear that the older ones bring a higher premium for better "quality" haven't seen any side by side comparison showing the "less quality" parts or fit. All just my humble opinion . . . It takes a practiced eye and hand to see and feel the difference between the Hamden and E Hartford High Standards. The early E Hartfords were pretty good, until they came to the end times of the company. It's hard to describe, but when I go from the High Standard back to the Model 41 . . . I'm reminded the High Standard feels like a well fitting solid piece with everything working solidly together . . . while the Model 41 is . . . clanky and much less solid feeling. Closest comparison I can make (which isn't a good one) is the difference between a BMW motorcycle and a Japanese bike. If the High Standards felt (and performed) like the Model 41's, they'd be much less sought after being out of business (Texas High Standards are junk) for 40 years. my hamden high standard supermatic trophy military,old pic,actually without sight bridge and black slab grips. Is that an LSP barrel? I had one on a High Standard before going with the 208s. It was a super accurate barrel and the aluminum sleeve really cut the weight for a scoped pistol, which was a big plus. The scope mount made it perfect. High Standard went out of business years ago. There was a reason for it. At the time, no one would buy the company. Then High Standard sent a letter asking if i could just buy 2 at standard dealer price. My distributor had a lower price. As i remember, the S&W M 41 have become available, in good supply. I still shoot he old High Standard. Long wait but they are supposed to be pretty good, though IMOP you can find a Hamden or Hartford cheaper with some patience . I have a early 1993-4 TX HS Victor, we did a group buy of six guns and no two were the same for fit and finish. Mine went back twice to get the bugs out ( twisted rib, cracked mag catch, walking trigger pin, Broken bbl plunger ) and luckily the 2 mags worked perfectly though new production and orig HS mags won't fit at all. I still have it and use it as a backup... shoots really good. Cust service wasn't spectacular back then either !